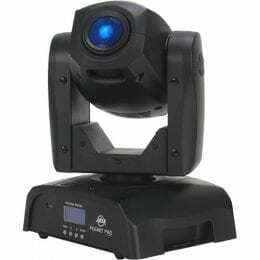 The pearl American DJ Inno Pocket Spot – Compact LED Moving Head Light is designed for lighting installations and live performance applications such as at parties, bars, small venues, and clubs. 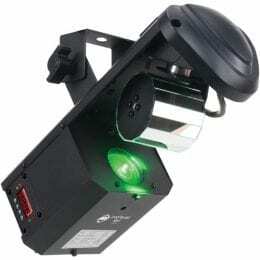 It features a 12-watt, manual-focus, white LED light source (rated at 50,000 hours) that generates a 13° beam angle, all within a compact, fan-cooled moving head. 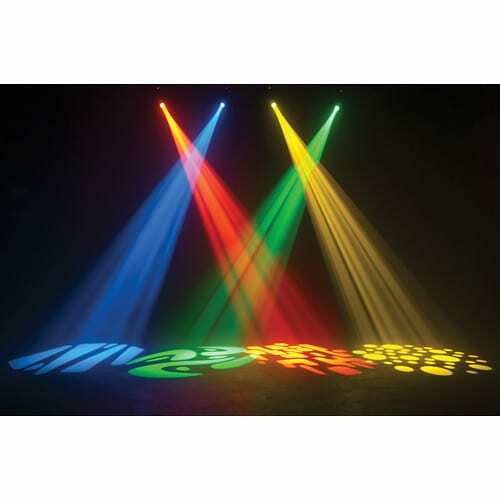 The color wheel has seven colors (plus white and split colors) and the independent gobo wheel includes seven fixed gobos with shake effect and scroll mode, as well as a spot pattern. 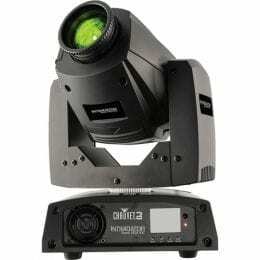 It can be dimmed between 0 and 100%, with five selectable dim curves (standard, stage, TV, architectural, theater). 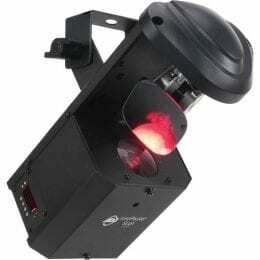 The shutter of the light enables a pulse effect, a variable speed strobe, and a random strobe. 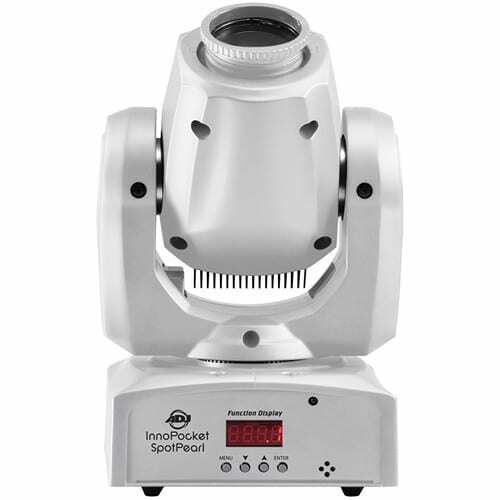 The unit has 540° of pan, 230° of tilt, and 8- and 16-bit movement resolutions and inversion modes for both. 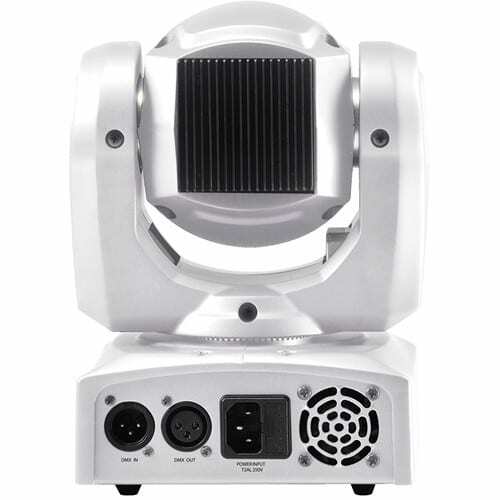 For controls, the unit features two DMX channel modes (9 and 11 channels) with 3-pin XLR DMX in and out connectors. 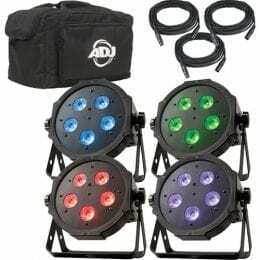 Multiple units can be connected to create complex lighting installations. 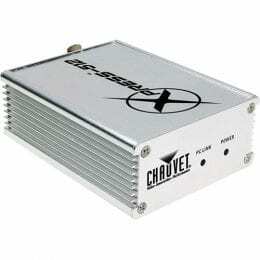 The unit also features a sound activation mode that utilizes an internal microphone, as well as an internal show mode with four built-in shows. 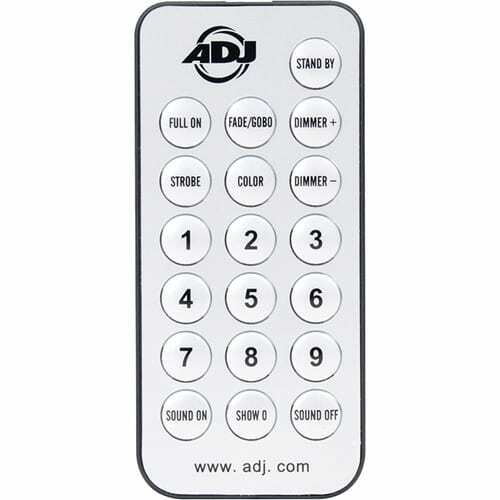 The LED display on the front panel shows DMX addressing and function settings, controllable via the four-button interface. 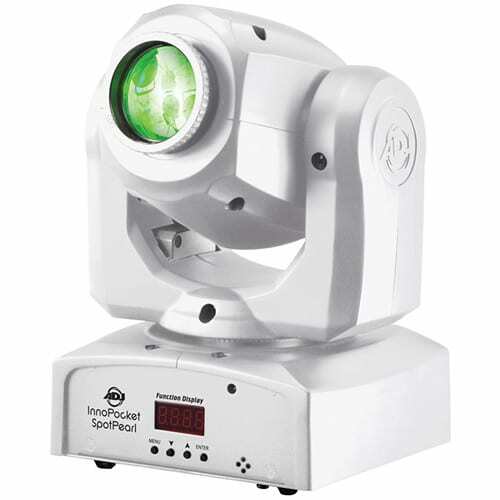 An optional IR wireless remote control is sold separately, which can control full on, stand by, strobe, color change, dimming, and sound activation on/off. 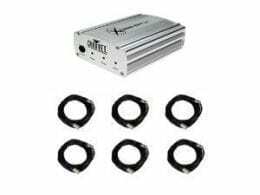 The unit comes with an omega mounting bracket and a power cable, so it’s ready to go right out of the box. Box Dimensions (LxWxH) 13.228 x 10.236 x 8.347"